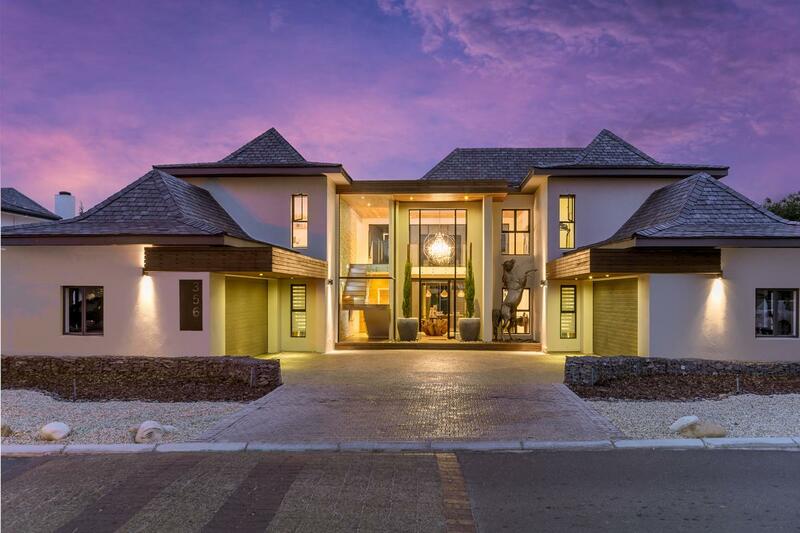 Exuding style and sophistication, this is without a doubt one of the most spectacular homes in Pearl Valley on Val de Vie Estate. 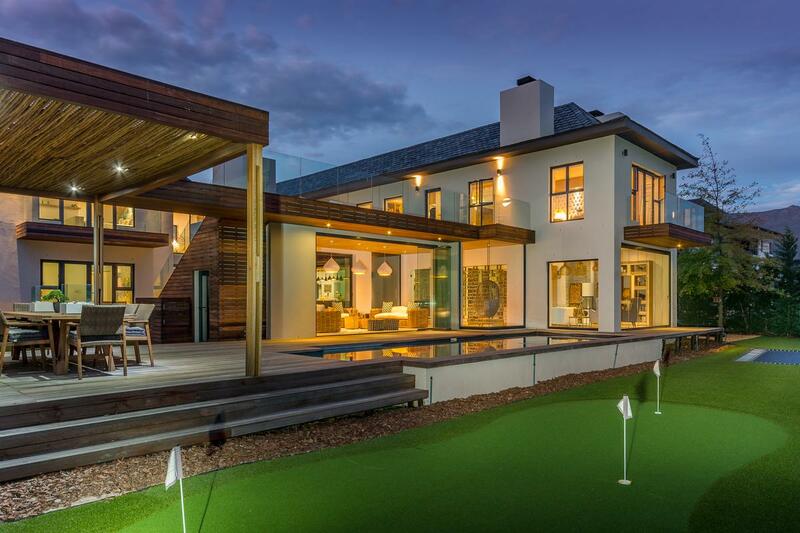 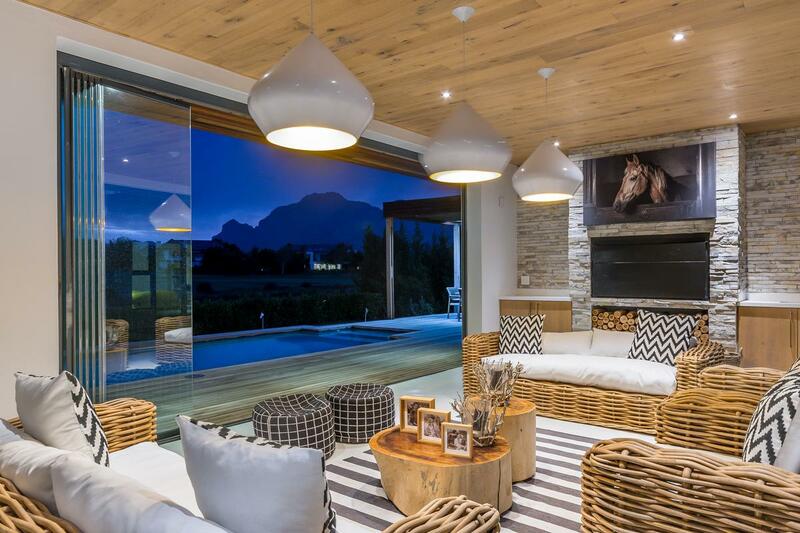 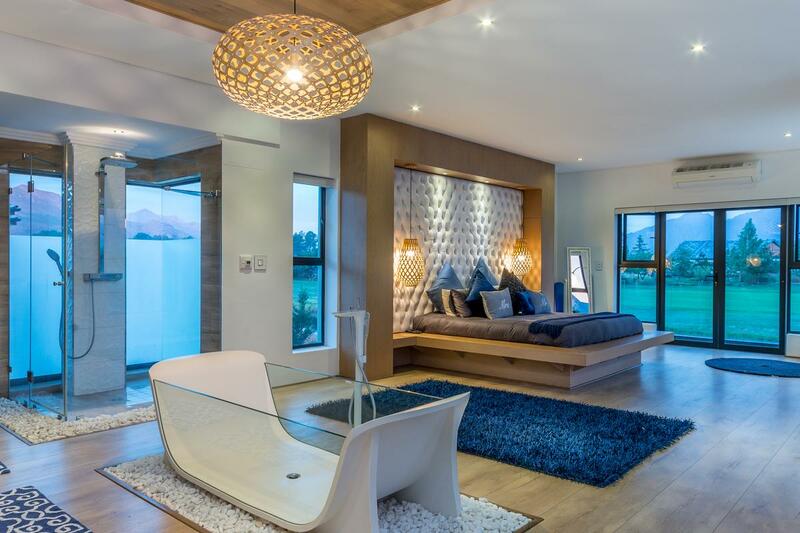 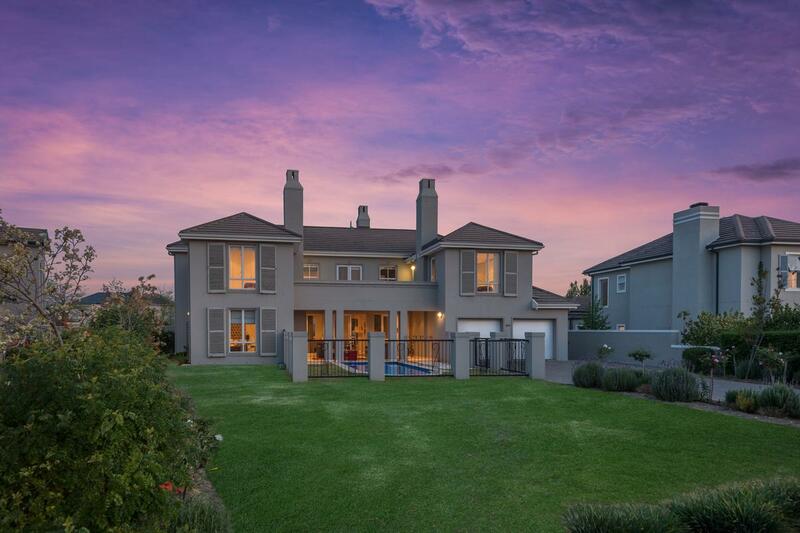 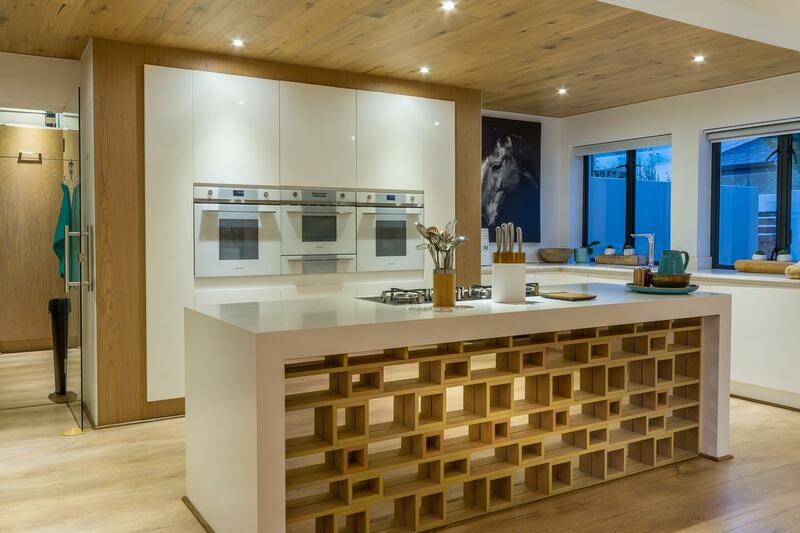 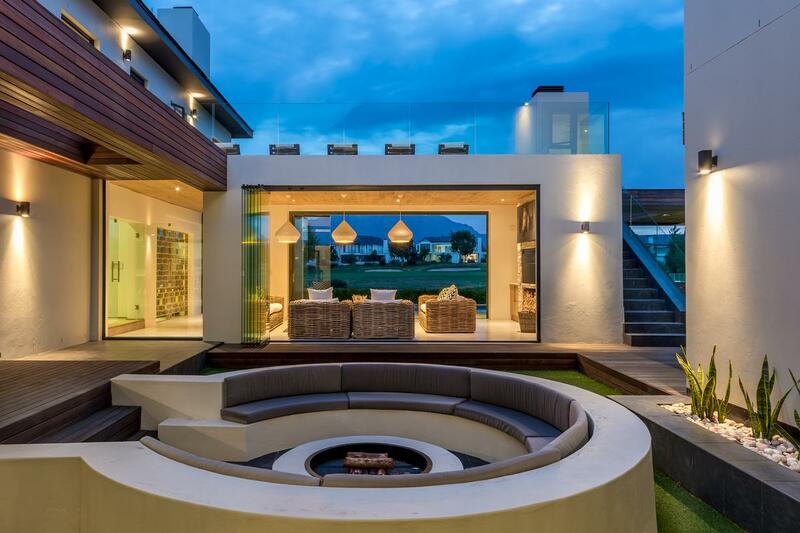 Emphasizing ultimate luxury living this modern masterpiece is situated in an idyllic position and offers spectacular views over the Jack Nicklaus signature golf course and the majestic Franschhoek mountains. 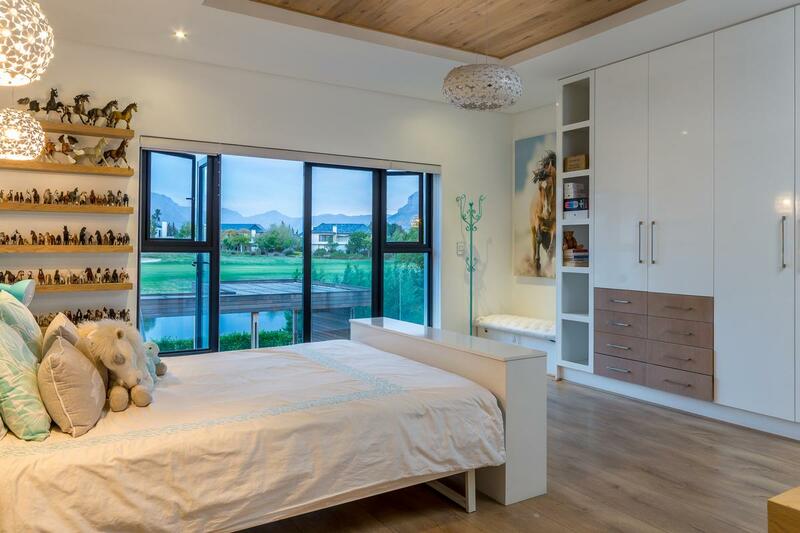 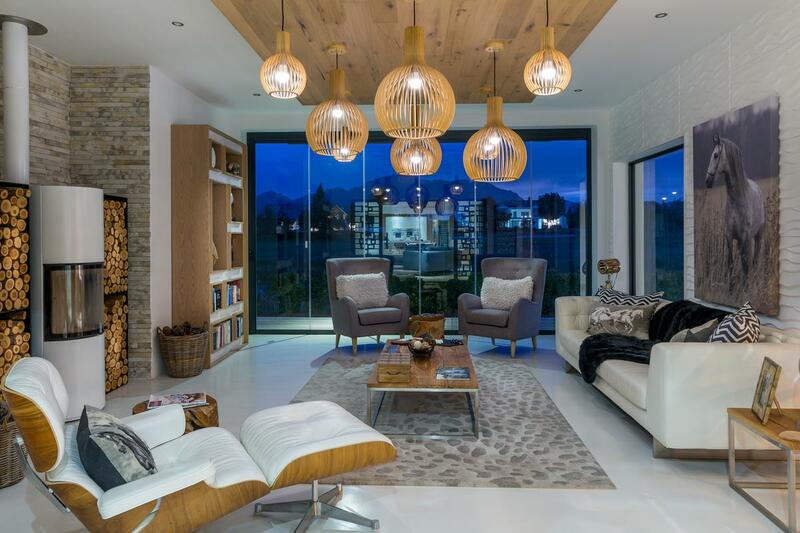 Captivating spaces are illuminated by floor to ceiling windows which fill the home with natural light. 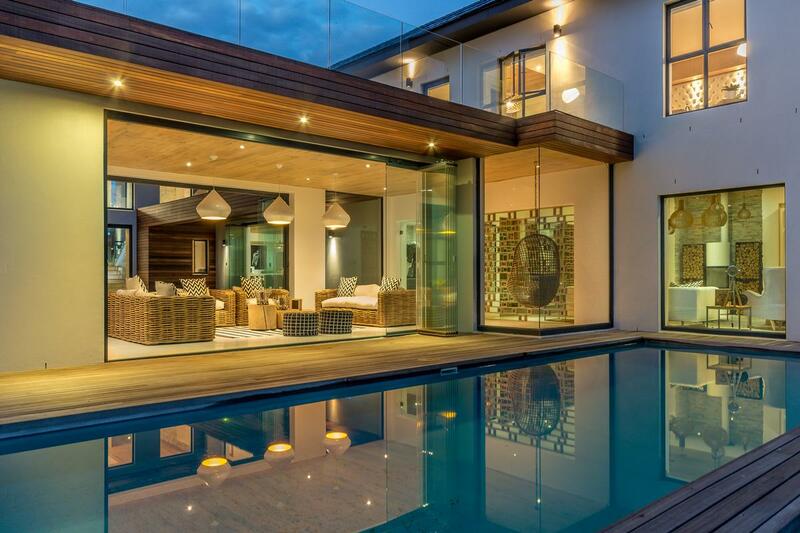 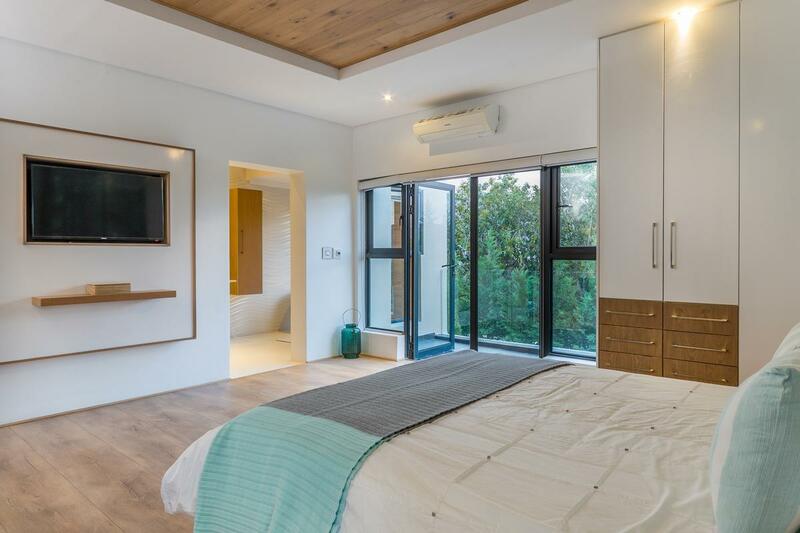 This is further optimized by stackable glass doors throughout which allow for seamless flow from the kitchen through to the luxurious living rooms and indoor entertainment area with built-in braai, enhanced by a decked swimming pool and protected seating area. 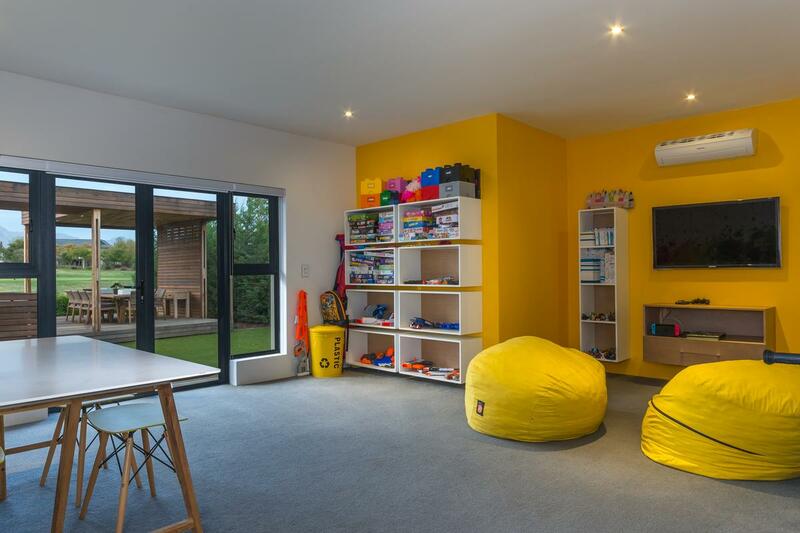 Entertainment and relaxed living for the whole family is a real focus in this home, from the bright, colourful playroom, large study and art room and fully equipped soundproof cinema, to the central boma area and wonderful breakfast nook set just off the striking kitchen, which features the very latest mod-cons, as well as a large scullery with ample storage space. 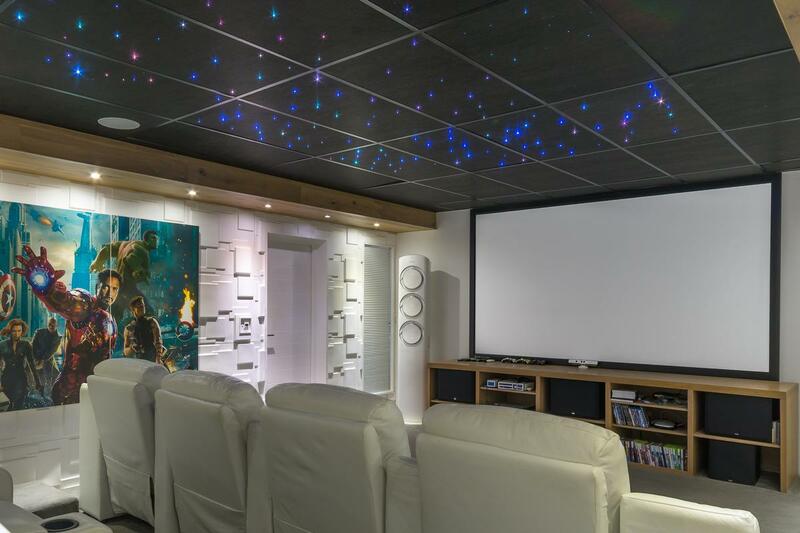 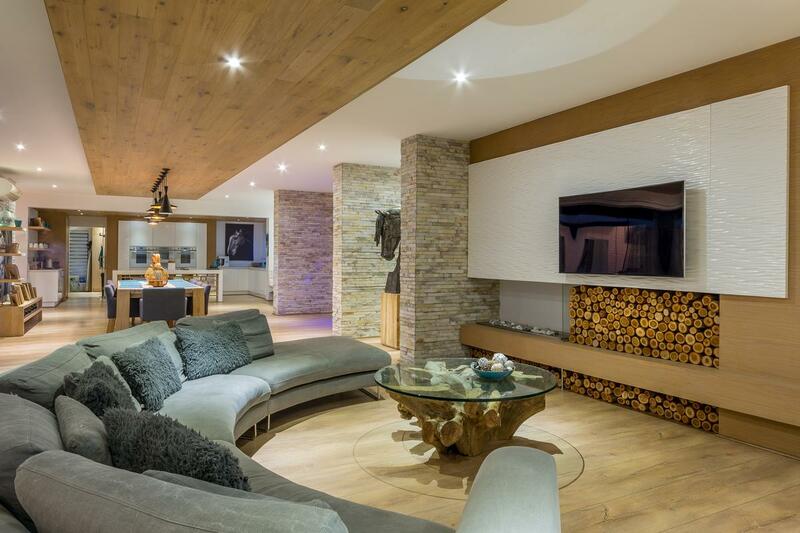 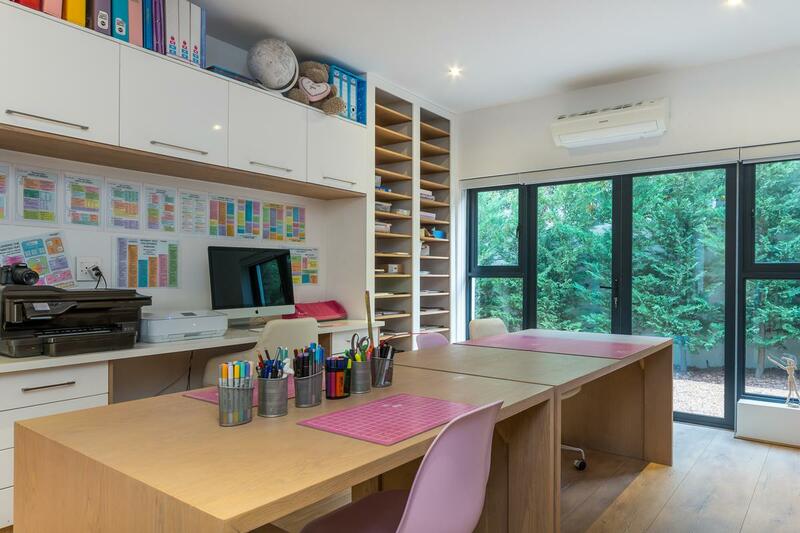 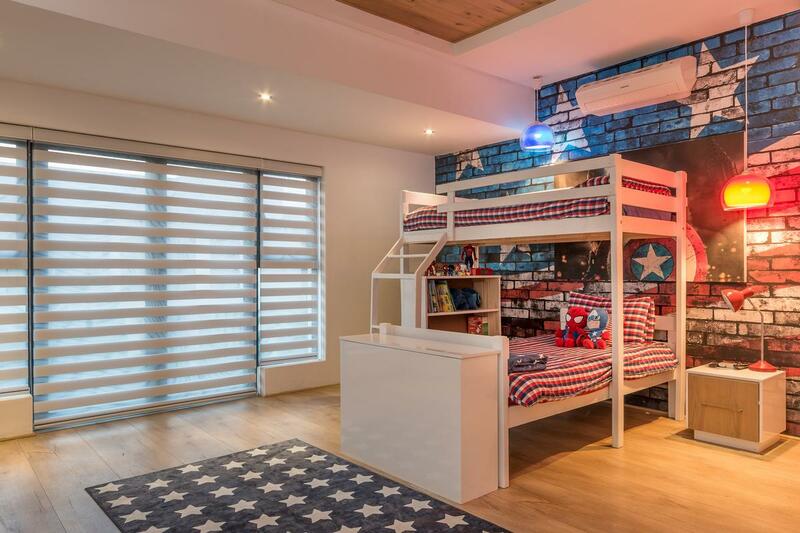 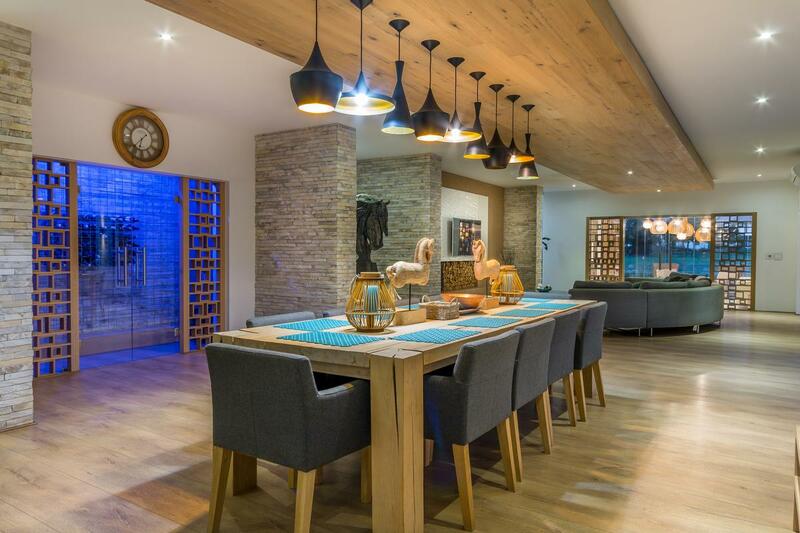 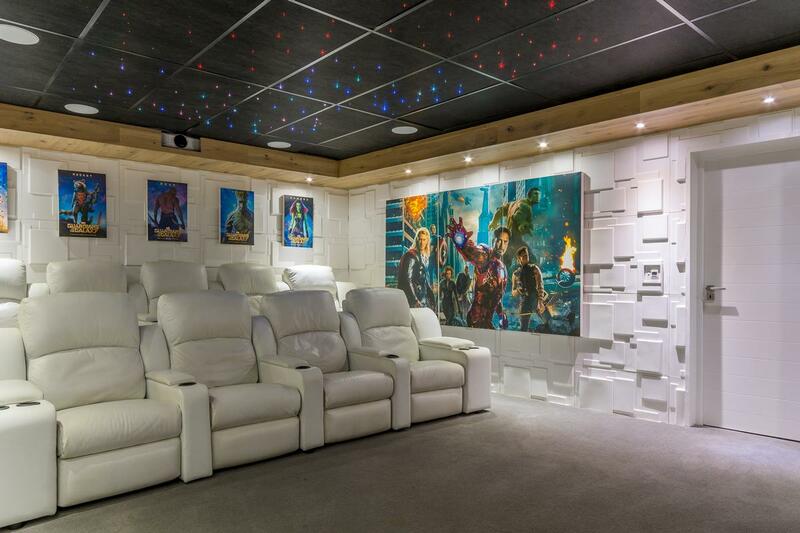 The upstairs of this impeccable home is taken up with five en-suite bedrooms. 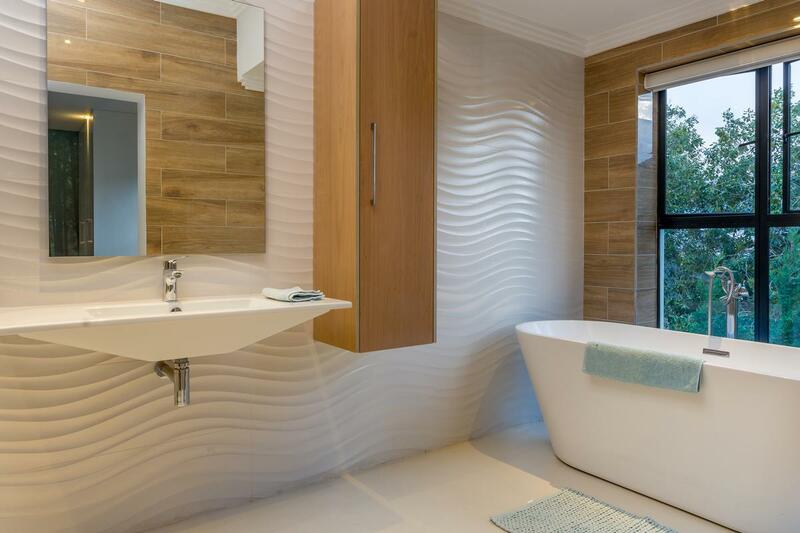 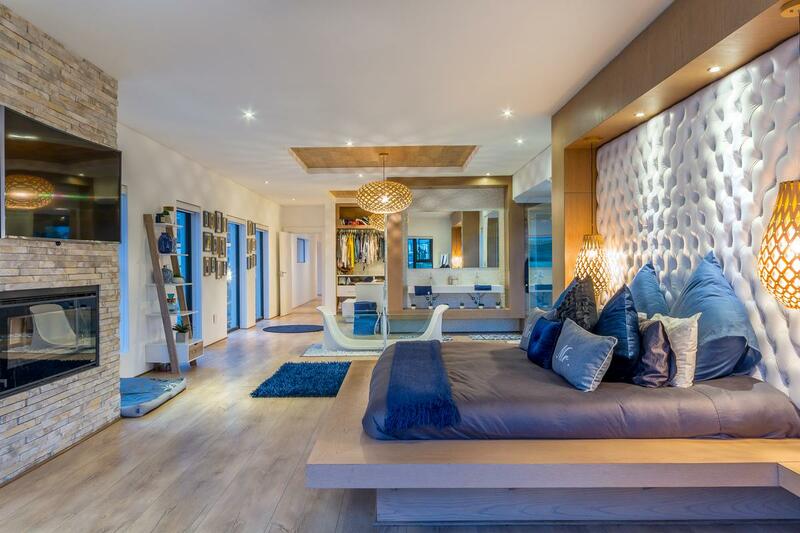 The master suite is literally quite breathtaking, opulent yet serene with open plan bathroom and dressing room. 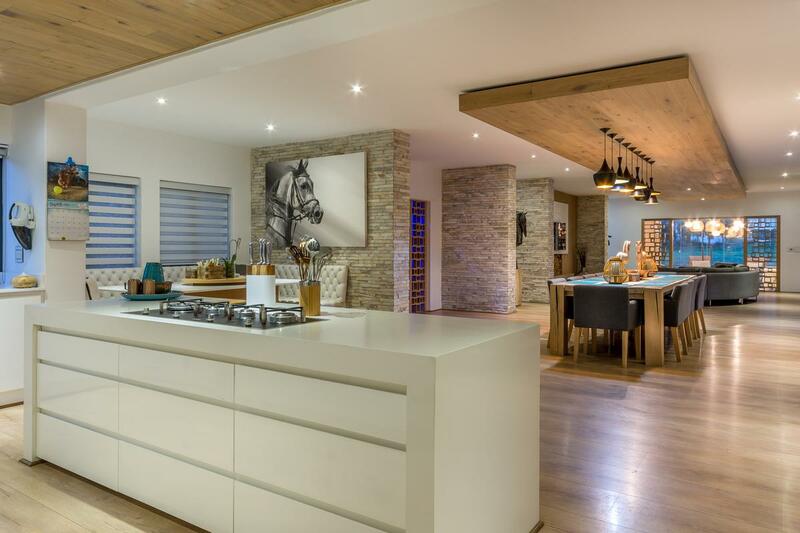 Additional features include four double garages with built-in storage space and tack room, televisions included in certain of the bedrooms, underfloor heating in all of the bathrooms and downstairs rooms, integrated fridge and freezer in the kitchen, wine cellar, built in trampoline and garden putting green. 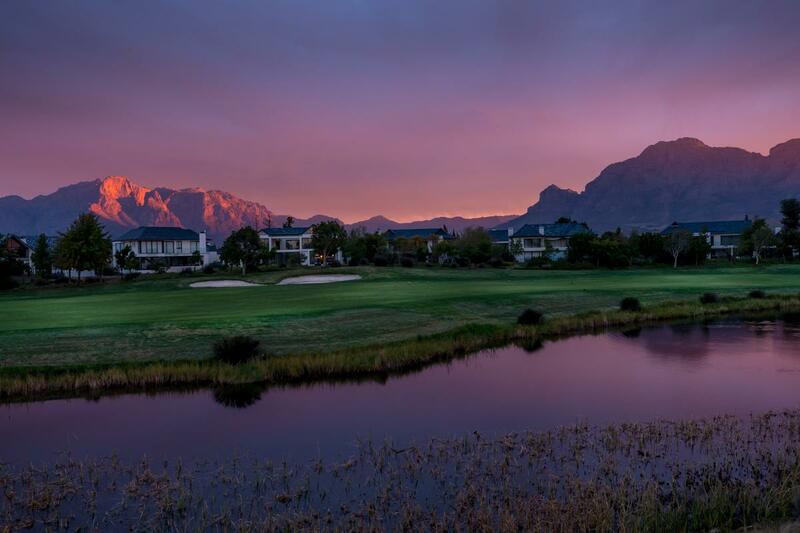 Surrounded by Mountains and bordering the Berg River, Val de Vie truly is a secure paradise for families with a variety of offerings to suit your lifestyle. 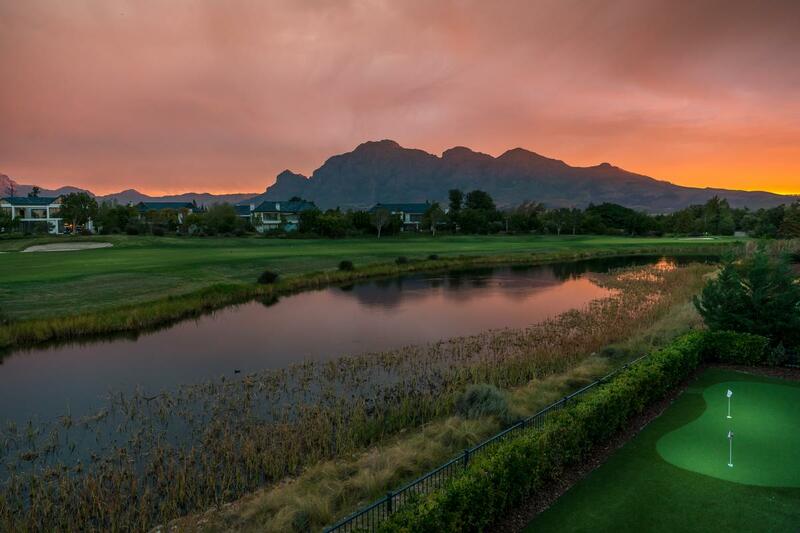 The Estate continues to exceed potential homeowner's expectations in a development that boasts access to 42km of mountain bike and running trails, 7km of Berg River frontage with dedicated picnic areas, great restaurants and Pearl Valley's Jack Nicklaus Signature Golf Course. 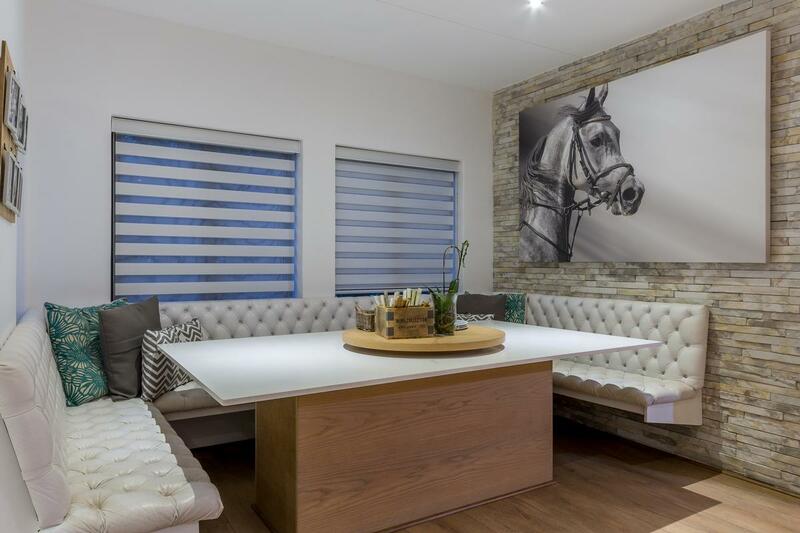 World-class Equestrian facilities include the best in stabling and care and a riding school which includes Polo lessons. 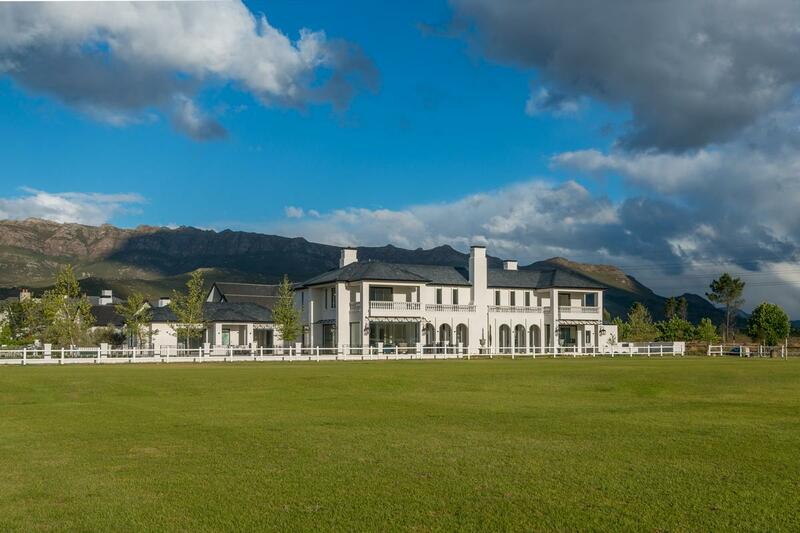 The Estate also regularly hosts glamorous Polo Events such as the Veuve Clicquot Polo and the Citron Pink Polo. 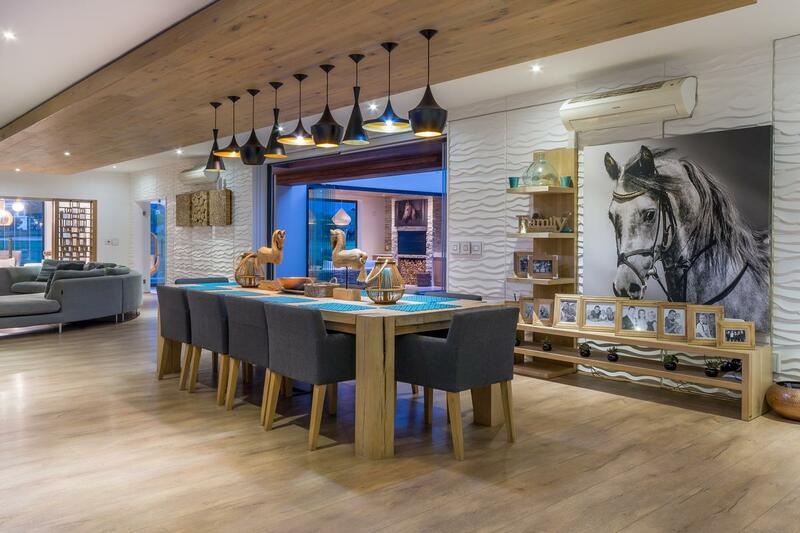 The new Lifestyle Centre, The Yard, is currently under construction and will boast a 1000 square meter Stefan Antoni designed gym and Olympic size swimming pool. 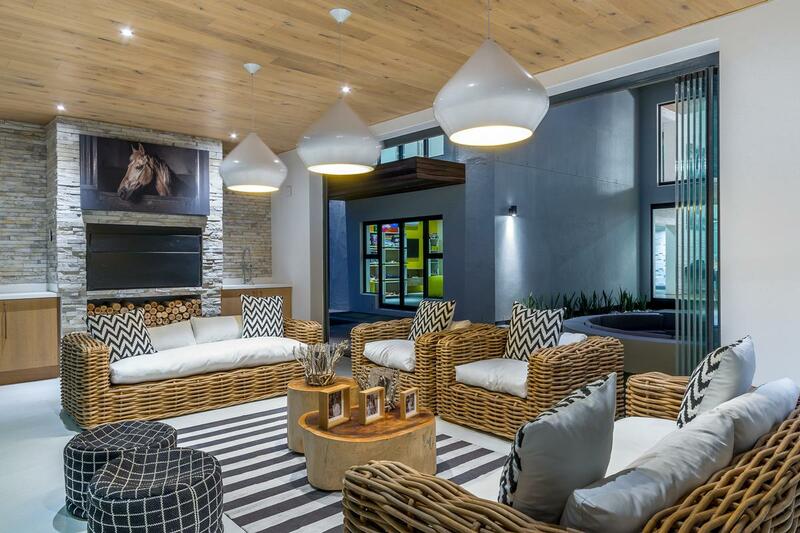 Facilities also include a yoga and pilates studio, cricket nets, netball courts and soccer field, a health shop and deli, and a sports shop. 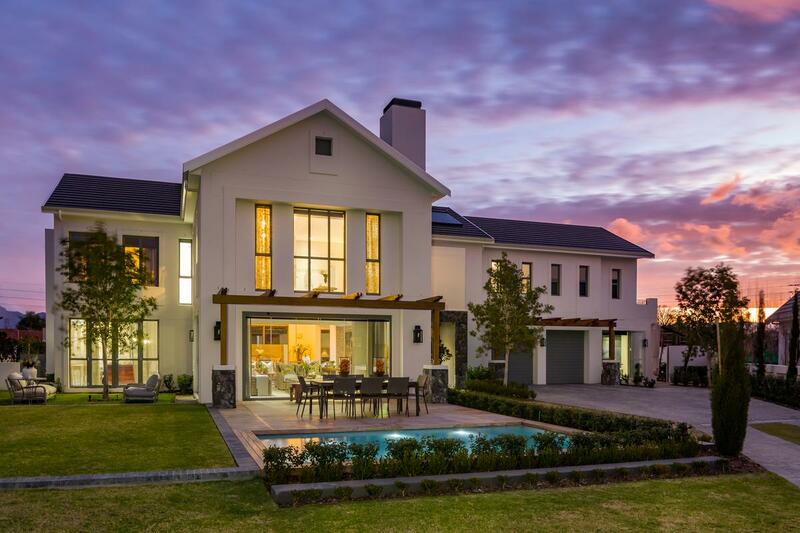 Come and share in secure country living at its best.